Just a quick little update! 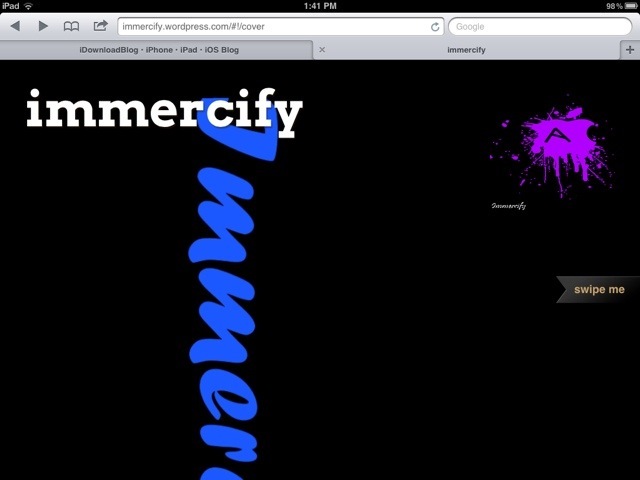 I just pushed the release of Immercify v.1.1 with is pretty awesome on an iPad! The changes include a security update and better control with RSS feed but other then that not much has changed. Here is a screenshot of what it looks like on the iPad. I hope you enjoy! If there are any bugs please contact me via twitter or email me at joeysegalla@gmail[dotcom].